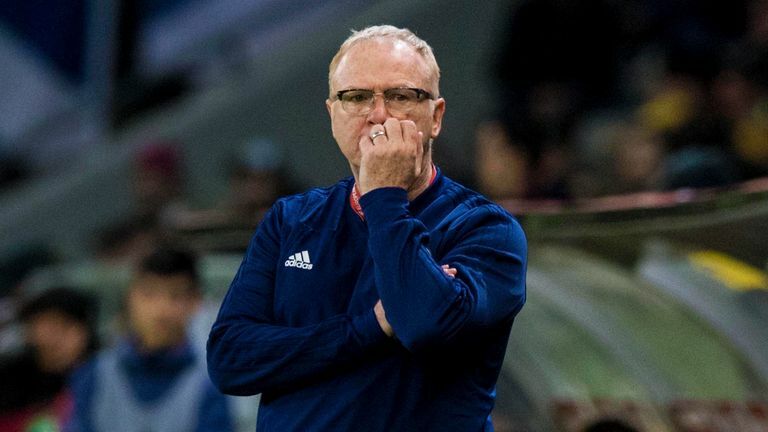 San Marino vs Scotland: Do minnows have a chance of upsetting Alex McLeish's side? San Marino should cause no concern for Scotland, but they did just lose 3-0 to Kazakhstan. We assess whether the minnows can do the unthinkable on Sunday. Speaking after Scotland's shock 3-0 defeat to Kazakhstan, Craig Gordon thinks San Marino "might fancy their chances", despite being the lowest-ranked country in world football and have conceded 37 goals in their last ten matches. I know you lost 3-0 in Kazakhstan, but we lost 5-0, so all in all it wasn't that bad! You would think Scotland should have little to be concerned about. San Marino are ranked the lowest team in world football and have only won one FIFA-recognised game in their history - having only not lost six times. The one victory was 1-0 against Liechtenstein in April 2004, while their most recent draw came against Estonia in November 2014 and that finished goalless. San Marino have been thrashed multiple times but losing 13-0 to Germany in 2006 was a record defeat for a European Championship qualifying game. Back in 1993, Stuart Pearce's under-hit backpass saw Davide Gualtieri score in 8.3 seconds to put the minnows a goal up against Graham Taylor's England. The Three Lions did rally back and win 7-1, though. San Marino's all-time top goalscorer is Andy Selva with eight goals, but he retired in 2016. Only one other player from the 34,000-strong nation has scored more than once and that is Manuel Marani, who retired in 2012, with two. Do San Marino have any danger men? No player in the current San Marino squad has scored more than one goal and only two of their players are fully-fledged professional footballers. Goalkeeper Elia Benedettini plays for Serie B side Novara and there are high hopes for 18-year-old Crotone striker Nicola Nanni who has already made three caps for his national team. San Marino boss Franco Varrella normally lines his side up in a 5-3-2 formation and will likely do the same against Scotland. 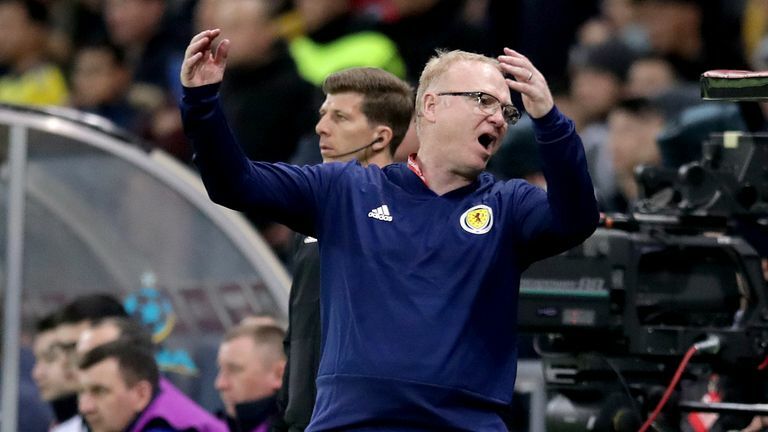 Alex McLeish pointed to injuries after the Kazakhstan defeat, but even with Scotland missing key players he would surely expect whatever team he puts out to overcome San Marino's strongest side. So is a shock on the cards? San Marino opened their European Qualifiers campaign with a 5-0 defeat in Cyprus and midfielder Enrico Golinucci laughed when asked if Scotland's opening result had given them hope of ending a run of 27 consecutive defeats. "It wasn't exactly hope," he said. "We want to do well but we are well aware that there's a huge gap between your players and our players. We know we are the underdogs, but we will do our best to stop you winning. "I know you lost 3-0 in Kazakhstan but we lost 5-0, so all in all it wasn't that bad!" John Collins: "You've got to win by a few goals that's for sure. "They're part-time football players so that means they're not going to be as fit as us that's for sure. We're training everyday - they're not. We've got to play at a high tempo from kick-off. "Throw-ins, free-kicks, everything done quick. Don't let them get a breather, don't let them slow the game down and really press them and make it high tempo. "These teams don't like being pressed or high tempo football so that's the way we've got to play. We can't be slow, playing square passes. We've got to put them under pressure from kick-off and work their goalkeeper. Very simple." Charlie Nicholas: "It's simple, they must win against San Marino and I'm getting to the stage now where any win is a good win. "It's a results business that we live in and we must get some points on the board and it has to be three. If we suffer even a draw there then it is probably the end [for McLeish]. "In my Sky predictions I thought Scotland would beat Kazakhstan 2-1, but obviously I got that totally wrong. The reality is I've gone for a 3-0 scoreline in Scotland's favour. "I know we're bad at times but surely we have enough anger and quality to beat San Marino. We'll probably be watching from behind the sofa with a few fingers in front of our eyes."